Like most woodworkers I know, my shop space is limited. So I’m always looking for ways to maximize the space I have. My wall space is no exception. During a recent shop renovation, I decided to organize some of my hand tools using pegboard. To make the most of my limited space, I came up with the multipanel system you see here. 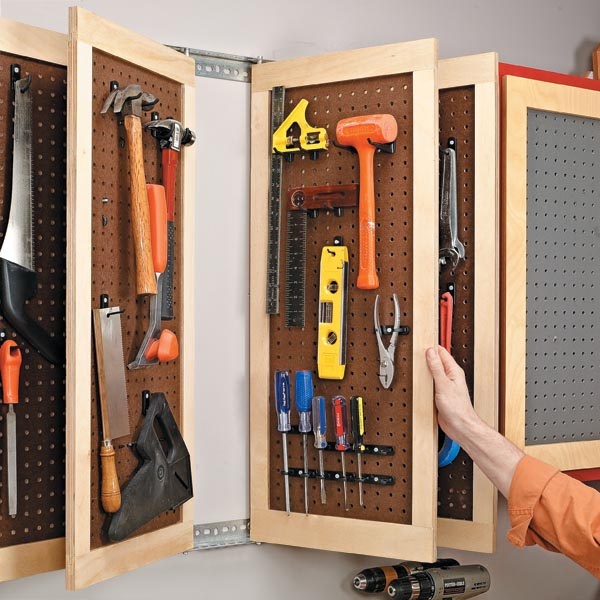 The frame and pegboard panel “doors” allow me to store tools on both sides of the panel, which really saves space. And a short metal pin located at the top and bottom of each door acts as a hinge. These pins also allow the doors to be located anywhere along a pair of wallmounted metal tracks. 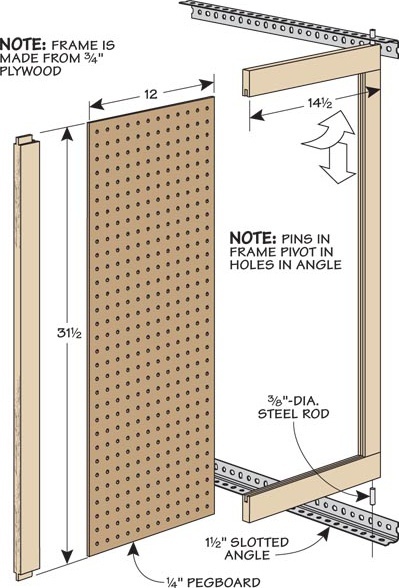 The drawings show how the doors go together with simple frame and panel construction. I purchased the metal rod and angle at a local hardware store. 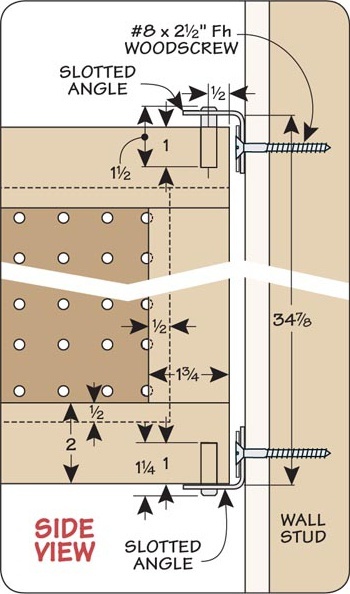 Each panel can easily be added to the tracks by angling the top pin into place fi rst. Then you can set the bottom pin in place. This makes it easy to add and remove the doors as necessary.